If you ever want to enhance your teeth appearance, or your smile is not as bright as you would like it to be, why not try out dental veneers? They are relatively new in the dental world, and are a perfect alternative to dental crowns since they are less invasive. Veneers, also commonly called dental laminates, are wafer-thin shells, made out of either ceramic, porcelain or a composite resin material. They are bonded to the front of your teeth, mostly to correct dental issues such as tooth discoloration, poorly shaped teeth or gaps. Why veneers? This is a highly conservative process that requires less tooth trimming, a shorter recovery period and you do not have to worry about staining as the ceramic surface is stain resistance. They also give your teeth a natural appearance that is highly inconspicuous. This cosmetic procedure is creating waves even in the entertainment industry, with most celebrities like Ben Affleck, Hillary Duff and Miley Cyrus opting for the treatment to enhance their smiles. Are You a Candidate for Veneers and Laminates? If you have chipped or cracked teeth, gaps between your teeth, misaligned teeth, discoloration or poorly shaped teeth, you are the perfect candidate for dental veneers. They are also ideal if you are looking for a better alternative to dental crowns and caps. This is a restorative procedure that will not only give you a better smile, but also improves the appearance of your teeth and your overall dental health. Unlike most dental treatments, this is a less invasive procedure that may require little or no anesthesia, and a shorter recovery period. 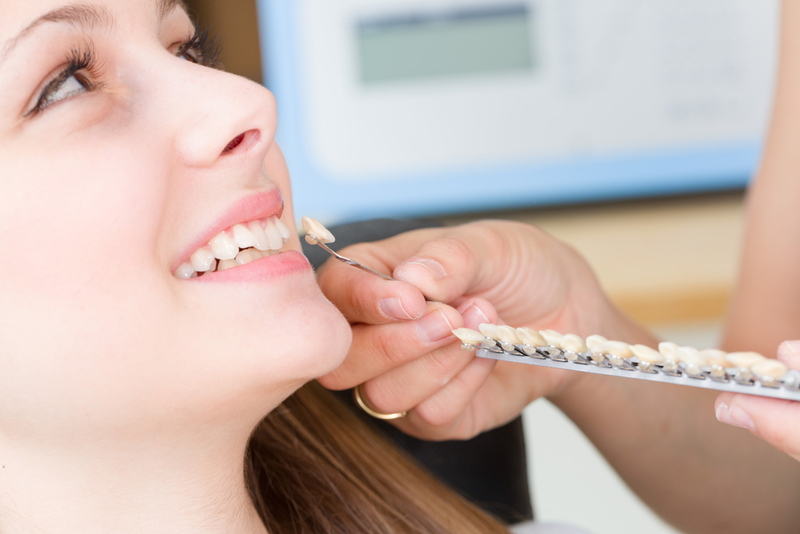 Our qualified dentists at Rangewood orthodontics recommend at least two appointments for the procedure. This mostly involves the diagnosis, planning and treatment. The initial course of action is working with you to properly enlighten you in what to expect, and to get an idea of what you want to achieve with the procedure. This also involves taking an impression of your teeth, in order to create a similar one with the same size, shape and color in our dental lab. Next, we prepare the affected teeth for application of the veneer by either etching out some parts or lightly buffing the teeth to make space for the veneer. Buffing is only done in extreme cases and it’s only when anesthesia is required. The final step is adding plastic to your tooth surface which creates a naturally contoured layer. We use an intense light to harden the plastic, after which we shape it according to your tooth and polish to create a natural appearance. You may encounter some soreness and discomfort after placing the veneers. We prescribe pain medication to help ease any pain during this period. We also recommend resting after your procedure which aids in the healing process, and a cold compress to reduce any swelling. Dr. Watts and Dr. Kaplan also recommend eating soft foods that won’t interfere with the veneer until you are fully recovered. Schedule an appointment with us today to get further information.